The first annual festival and concert for Sacred Heart of Jesus Parish in South Philadelphia will be held Sunday, June 10 from 8 a.m. to 7:30 p.m. Begin the day of fun, food and live music by worshiping with Sacred Heart parishioners at Masses at 8 and 11:30 a.m. and 4 p.m. Following Mass, enjoy a concert from 1 to 3 p.m., tours of the historic church from 9:15 to 10:45 a.m. and 5:30 to 7 p.m., and a string band performance at approximately 5 p.m., plus food offered all day long. Don’t miss the art vendors, raffles and fun-filled family activities including face painting. Kids can color provided umbrellas to be used for strutting with the Mummers while their string band performs on 3rd Street. 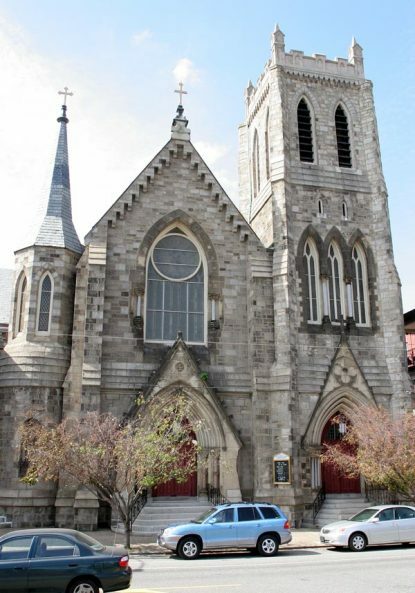 Sacred Heart Church is located at 3rd and Reed streets (1404 South 3rd Street) in South Philadelphia. Learn more at the website of Sacred Heart Parish.